The owner and manager of four apartment complexes has agreed to pay $20,500 in damages to settle a lawsuit over the landlord’s pet policy. The landlord allegedly demanded that tenants with disabilities pay pet deposits in order to keep companion or service animals at the rental properties. The Fair Housing Act prohibits landlords from rejecting applicants due to disability, or imposing different rental terms and conditions on those tenants. According to HUD, this includes refusing to waive pet fees and deposits or charging higher rent to tenants with companion or service animals. In this case, a local housing authority received a complaint from rental applicants who were told they would have to pay pet deposits in order to keep their assistance animals. Under the settlement agreement, the landlord must pay the fee within 20 days. In addition, the landlord will provide training to its employees on the Fair Housing Act, and adopt written policies regarding tenants with disabilities and assistance animals. The landlord’s activities will continue to be monitored and subject to inspection. Disability discrimination generates 58 percent of all fair housing complaints, and HUD and its partner agencies have vowed to prosecute landlords who fail to accommodate these rental applicants and tenants. In a guidance paper issued in 2013, HUD describes in more detail the requirements landlords must follow when processing tenant requests for service or companion animals. It is important for landlords to understand that assistance animals — whether seeing-eye dogs or emotional support animals — are not pets, and therefore pet policies cannot be applied to tenants with disabilities in need of such assistance. 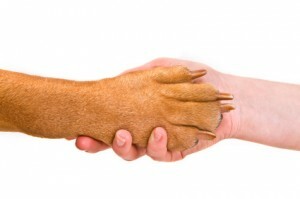 Does the animal provide assistance or support to that individual related to the existing disability. Landlords are severely limited in regard to the questions they can ask of an incoming rental applicant or existing tenant making the assistance animal request. For example, if the disability is apparent, the landlord cannot ask the tenant to provide verification. Where the disability is not apparent, as may be the case if it is emotional or mental, the landlord only can ask for reasonable (minimal) verification of the two factors above, and cannot question the diagnosis or recommendation of the animal. There are no specific licensing requirements for health professionals providing verification, and in many cases, the animal does not need any special training. The landlord can deny the request only if the tenant does not meet both factors, or if the specific animal presents a danger to people or property. Breed restrictions or past experiences with animals who have caused harm cannot be considered in denying the request for an assistance animal. The landlord must grant or deny the request, and cannot condition the acceptance on the payment of additional fees or deposits, higher rent, or the tenant’s agreement to live in a different unit. Before denying a companion animal request, a landlord should consult with legal counsel to avoid a potential discrimination claim.